This room has been many things in the life of Harewood House. Originally the State Dressing Room, en-suite with the State Bedroom next door, Charles Barry transformed it into a Victorian library. 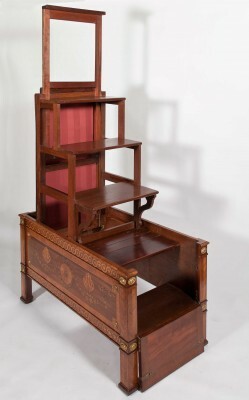 Subsequently, the room was used as a breakfast room and was briefly a study for the 6th Earl. It has been room used for family gatherings (the Main Library) on one side and Princess Mary’s sitting room (now the State Bedroom) on the other. 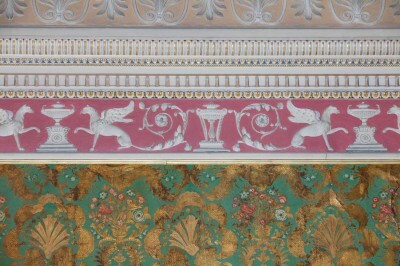 Between the tall bookcases and the Robert Adam ceiling is a 17th century wall-covering of Spanish leather. 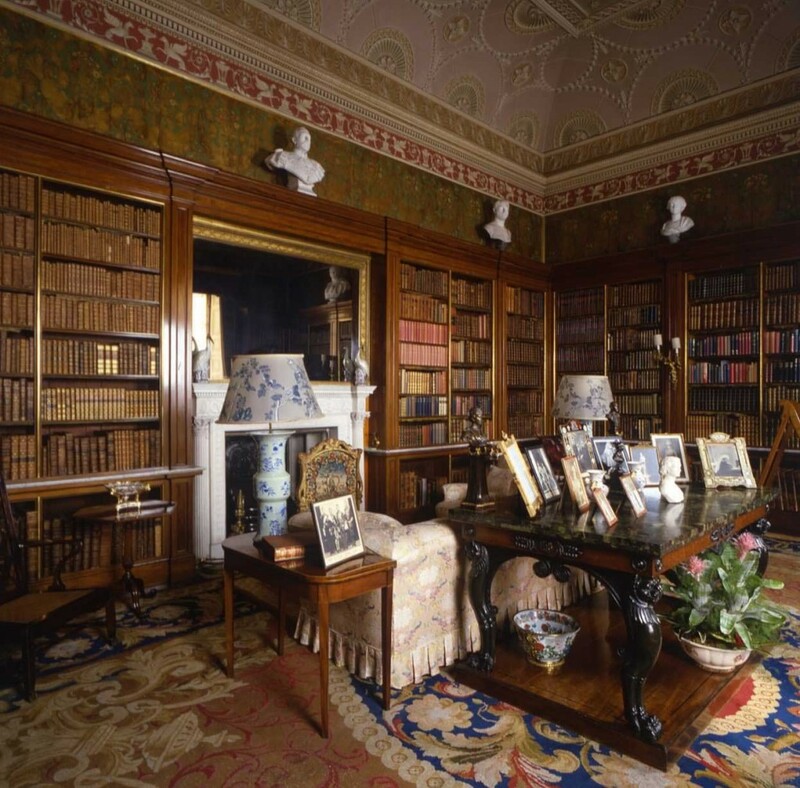 Added by the 6th Earl, the room then became known as the Spanish Library. Interestingly, recent research has shown that the leather is actually from the Netherlands! One of Barry’s main additions to this room are the two “secret” doors disguised as bookshelves: the one between this room and the State Bedroom and one in the far corner to the left of the fireplace. 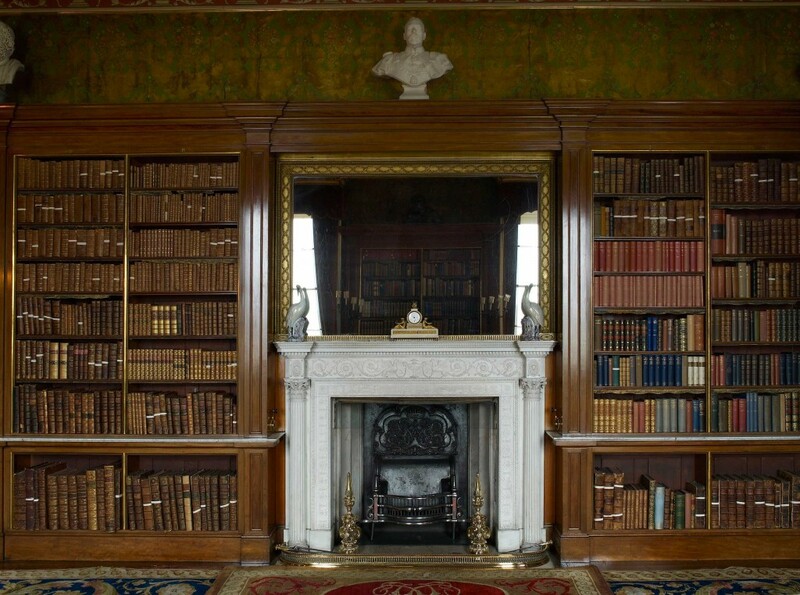 There are more than 11,000 books in the three libraries at Harewood dating from the 16th century to the late 20th. 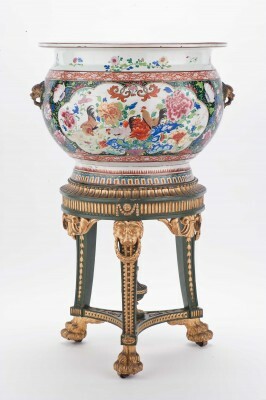 Their cataloging and conservation is a massive and ongoing project.